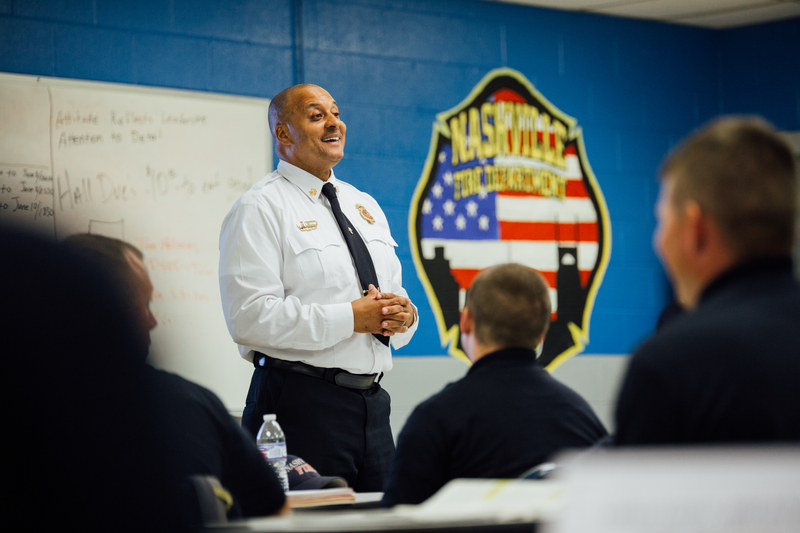 In 1995, William Swann (’18) joined the ranks at the Nashville Fire Department. After a few years in the military, he was looking for direction, and he said he felt something pulling him, but he didn’t know what. He only knew he wanted to serve his community. 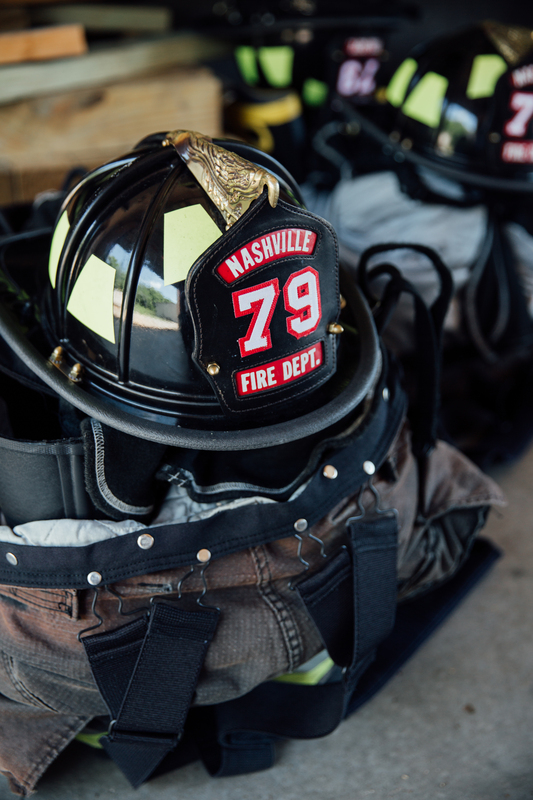 After almost 25 years of service with the fire department, Swann, interim director chief of the Nashville Fire Department, says he felt that same pull to serve his community, but this time in a deeper way. He wanted to draw on the connection and the resilience of Nashville that he sees daily in his work, and to do that, he knew he’d need a little help. That’s where he says Trevecca came in. Now a graduate of the Bachelor of Arts in management and human relations program with Trevecca’s School of Graduate and Continuing Studies (SGCS), Swann said he is better equipped to lead in his department and do his best work for Nashville. His mission in serving is to mirror the communities he sees at the rehouse and on Trevecca’s campus with the rest of Nashville and to share all that he’s learned with as many as possible. Pam Monjar, student success adviser with the School of Graduate and Continuing Studies, served as Swann’s adviser while he was in the program, and she said that desire to be a servant leader is evident in all that Swann does. Scott Lively, the NFD chief training officer, went through training at the Fire Academy with Swann 23 years ago and works with him daily to prepare recruits for service. As the parent of a current Trevecca student and a member of Swann’s cohort, Lively knows well that sense of connection Swann leans on in his work. Lenny Manning, NFD operations fire commander, agrees. 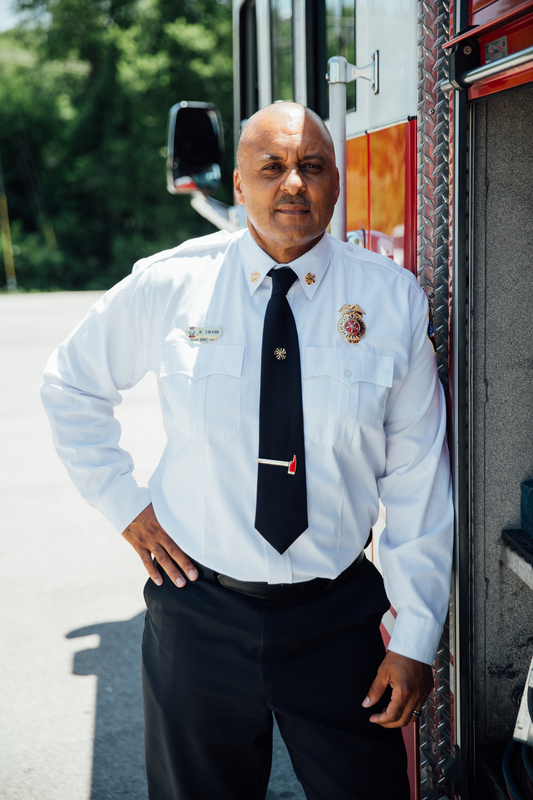 Manning has been with the NFD for 28 years and says Swann’s commitment to his community and his team is evident every day in his work. “One of the best things about him is that Chief Swann doesn’t stay locked in his office— he can be seen all over the city promoting the department and getting to know his community,” Manning says. Lively says Swann instituted a mentoring program with area high schools to expose students to the work of the department with the hope of empowering Nashville’s next generation. Swann says it’s his hope for the future to continue collaborating with his department to expand on what he and his team can offer to Nashville. “The thing that makes the department so great is everyone having that servant heart and mindset. The nature of the call doesn’t matter— the point is someone needs help, and we are trained to help in some way,” he says. “We may see on one call what the average person doesn’t see in a lifetime, but it’s not about what you see. It’s about what you can do when you get there. Your mission is to help, no matter what you run into. It doesn’t matter if it’s a cat in a tree or a house fire—our mission is always that we’re there to help. Bailey Basham is a recent Trevecca graduate and currently works as a freelance journalist. She loves writing, browsing Pinterest for new recipes to try and spending time with her dogs Ruthie (after the candy bar) and Pico (last name, de Gallo).